When it comes to London speaker hire, Sound Services Ltd excel above the rest. We offer an extensive choice of speakers for hire in London and the surrounding areas, so you can find the perfect PA system for your event. With a wealth of experience within the team and a huge inventory of products, we can understand the requirements for your event and tailor make a sound system to suit. This generally isn’t an option with many other manufacturer’s systems which only possibly deliver if the room happens to be the right size. Rather than having huge quantities of the same speaker box which can be limiting and problematic when specifying a job, we have a large roster of speakers that can suit the individual application to perfection. At Sound Services Ltd, providing high quality sound is our number one priority which is why we work with some of the best manufacturers in the industry – this ensures our London speaker hire always delivers results unconditionally. With well-known brands such as Funktion-One, Fohnn and Electro-Voice, but specialising in Funktion One, we have some of the best speakers for hire London has to offer, which all come with speaker / signal leads and speaker stands / poles as standard. Whether you’re hosting a small event, a large corporate function or a club night, we will make sure you have the right specification and quantity of speakers to ensure the sound at your event makes the right impression. If there is no power available at the venue, then we also hire battery powered PA systems and have the Sennheiser LSP 500 PRO battery powered speaker, as well as Fohnn battery powered speakers. We have recently updated our hire inventory to include the new Funktion One SB210A powered bass bin which works beautifully with a pair of F101s and is very easily setup as the bin powers the 101s. We are also excited to announce that we have added Funktion One PSM 318 DJ monitors which are unsurpassed in the world of DJ monitoring. For less demanding DJ’s, we also have the Funktion One PSM18 wedge monitor which is a great standalone monitor but can be also be paired with the BR118 to make a custom ‘Mini Dalek’. 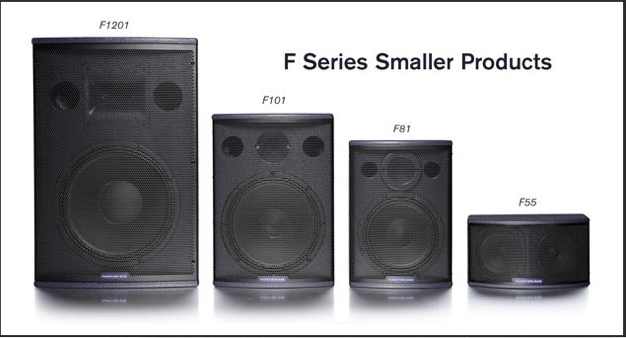 We have been using the Funktion One EVO 6 cabinets now since they were released; it is the first choice of speaker cabinet for larger events along with the F121s and with added Infrabass or F132s if there are no noise restrictions and high fidelity music with information under 45HZ! The EVO 6 system has come on leaps and bounds from the Resolution 4 and 5 systems which are nearly 17 years old now but still are far superior to most PA systems out there today. We are the first people in the UK to have the new EVO 7T system in our hire inventory. We have the full system; EVO 7T touring boxes consisting of a 15”, 10” and a 1.4”. We also have the EVO 7TH 10” and 1.4” as well as the EVO 7TL 215 box. We purchased this system in June 2017 and debuted it for the Glade stage at Glastonbury working closely with Tony Andrews from Funktion One. Please use the Facebook link at the bottom of this page for more information about this gig.